In 2016, we face the threat of more and more taxes. Internet sales tax bill S.B. 106 is coming up for a hearing and will shortly be on its way to the Senate floor for a vote. Online sales taxes would impose high costs of compliance on businesses — especially small businesses and individual sellers. It is urgent that you call your state senator NOW and demand they vote NO on S.B. 106. Tell them NO MORE taxes and regulation. Find your state senator here. If some politicians get their way, state and local governments from New York to California would reach into South Dakota citizens' wallets - taking more of your hard-earned money - and then distribute the spoils in their own states. 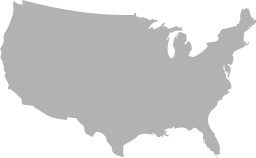 In fact, they are hoping a few "guinea pig" states will pass a patchwork of Internet sales tax laws so the U.S. Congress will be forced to provide a national, uniform, one-size-fits-all solution -- a national Internet sales tax solution. Those costs will just be passed on to consumers. . . you and me. This is just another excuse for the power-hungry bureaucrats to pick your pocket. That’s why you must call your state senator and insist they VOTE NO on S.B. 106 and defeat this effort to impose a state sales tax on online sales from out-of-state sellers. Campaign for Liberty opposes any legislation that seeks to hamper the unprecedented advances and prosperity that the Internet has achieved. Keeping track of ever-changing rates, bases, and collection methodologies would be very challenging for remote sellers, and may even prevent some from selling to South Dakota consumers, which would limit the availability of products and services in our state! Can you imagine the burden this would impose on these out-of-state businesses? They would have to track purchases in all of the states that passed such a law and know the tax rates in those states, counties, and cities. This is a much higher collection standard than that imposed on bricks-and-mortar sellers, which are only required to collect at the rate of their physical location where it is relatively easy to know the tax rates. Proponents overlook the fact that online sales tax proposals violate Supreme Court rulings requiring businesses to be physically present in the state in order to collect and remit sales taxes. And having states set national tax policy is an improper delegation of the federal government’s authority to regulate interstate commerce. Imposing an Internet sales tax is a flawed idea that will wreak havoc on businesses in other states, hurt the economy of South Dakota, and make life worse for the businesses and families living here. Please call your state senator and tell them not to support it.